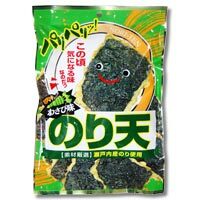 Tempura-like crispy snack using seaweed from Japan. It has a nice flavor of wasabi (Japanese horseradish), going well with beer. It would also be good as a tea time snack.